​Please share this information with your local shelter, animal control agency, and veterinarian. It's critical that each person scanning a pet for microchip has received proper training. The pet's life may be at stake. ​When a microchip is missed due to a dead scanner battery or improper scanning procedures the dog is less likely to be reunited with their family. He may have been lost for months or years, and the family has given up their search, or he may have been lost from another county or state, and the family is searching there. ​When a microchip is missed the dog may be euthanized, because he is wrongly assumed to be a "stray", or he may be adopted to a new family (permanently) while the dog's real family continues to desperately search for him. ​Scanning for a microchip sometimes consists of waiving the scanner haphazardly​ over the dog's neck a few times because it's presumed the dog is an unwanted stray because of his appearance or where he was found. 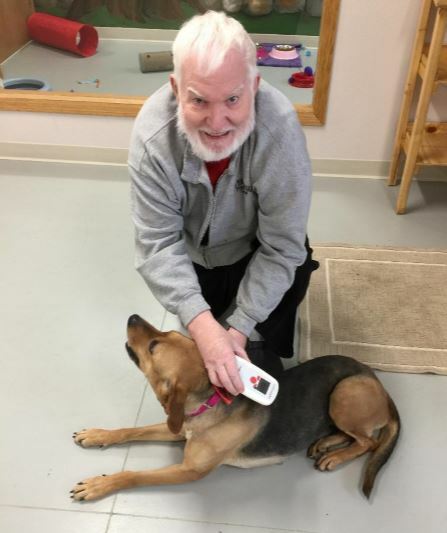 It should be assumed each pet is someone's long-lost best friend -- with a microchip that needs to be found in order reunite them with their family. 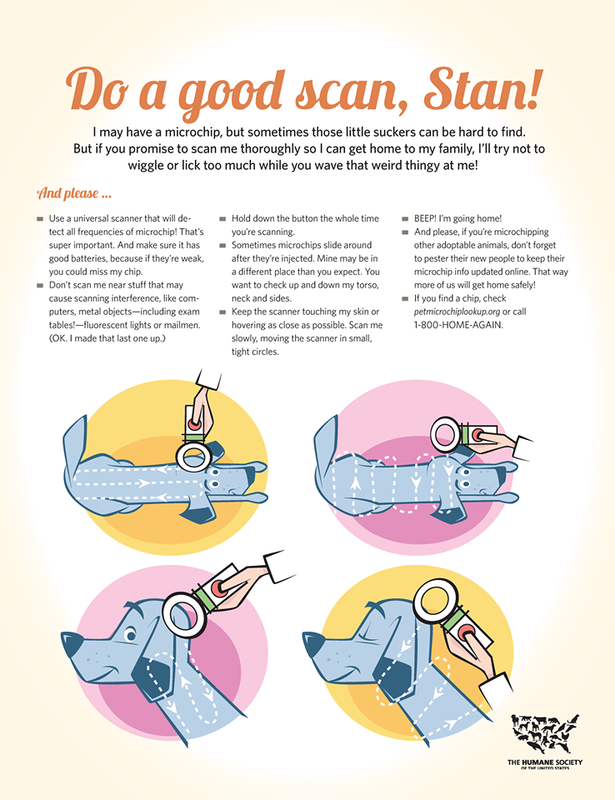 ​If you are responsible for scanning a pet for a microchip, remember, YOU may be the dog's ticket back home! Think of each scan as a challenge to find a hidden treasure. "I have to find the chip. I know it's here somewhere". The scan should include the entire body, multiple times, with more than one scanner. ​Lost Dogs of America and Helping Lost Pets has a trained team of volunteers who can often track down the dog's owner even if the chip is unregistered or the phone number is no longer in service. Send the microchip information here so their volunteers can help! This link is specifically for shelters and it's free! Here is the link for tracking down a dead end microchip when the pet is not in a shelter, but still with the Good Samaritan. 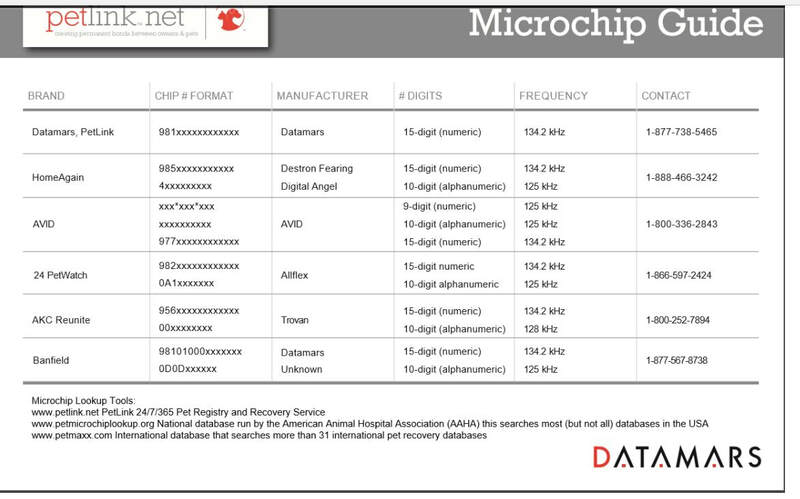 ​Dead end or unregistered chip? Scan immediately after it is implanted to verify the chip is working. ​Instruct them to keep their pet quiet and still as possible for at least 12 hours to allow the surrounding tissue to adhere to the chip and keep it from migrating. No walks or exercising the rest of the day. ​As soon as the owner gets home, they should contact the microchip company to verify that the chip is registered to them, and verify that their contact information has been entered correctly. Ask them to have the microchip representative read their phone number back to them. It would be a shame if a typo kept the dog from being returned to the owner. Suggest that they provide the phone number of at least one family member or friend who doesn't live in their home. ​The owner can scan their microchip paper work, or take a photo of it with their smart phone. They should capture the chip company's name and contact information and their dog's chip number. The should email the information to themselves so they can easily access it even if they're away when their dog is lost. Dogs are lost from car accidents, home fires, and natural disasters. The owner can access their email even during an emergency. Encourage them to take photos of their dog from all angles and include any identifying features. They'll need good, clear, current photos of their dog should he become lost. Include these photos in their email. They can register their dog as "safe" through our partner, Helping Lost Pets. All they'll need to do if he becomes lost is to update him to "lost". This is extremely helpful because they will be panicked when their dog is lost. ​Make it a practice to scan pets yearly during their annual exam to verify the chip is working. Give vaccinations in an area other than where the chip has been placed, so as not to puncture or damage the chip. ​Instruct the owner to call the microchip company to verify they have your current and correct contact information each year after their annual exam. Thank you to the Humane Society of the United States for this helpful graphic!